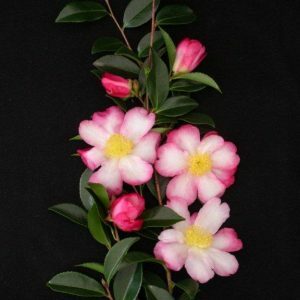 Camellia sasanqua including C. heimalis and C. vernalis species. 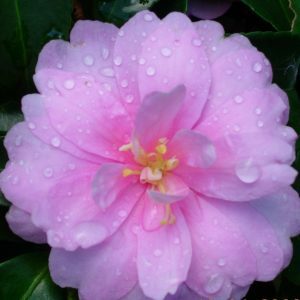 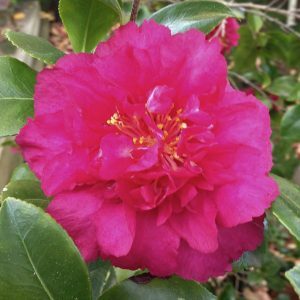 This delightful range of Autumn flowering Camellias are known as Camellia sasanqua. 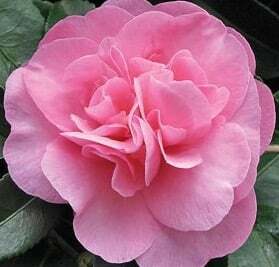 This is due to the large variation in growth habits and types that exist in the cultivars of this collection of species. 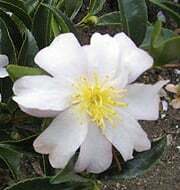 C. sasanqua generally have smaller leaves, on, in most cases willowy branches. 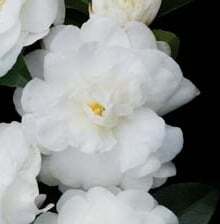 They are extremely free flowering and are considered hardier that other species. 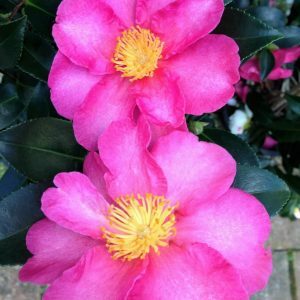 While often referred to as full sun camellias, to see them perform at their best we still prefer to see them planted with protection from a northerly or westerly aspect. 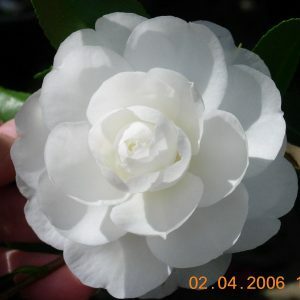 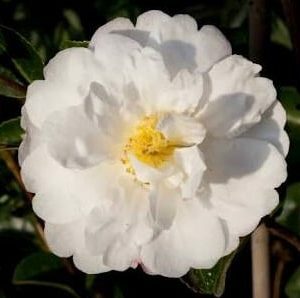 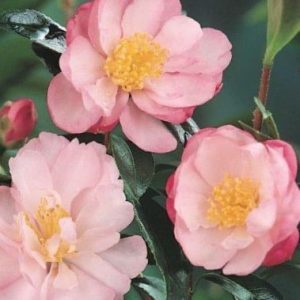 Camellia sasanqua are suitable for a vast range of creative gardening uses eg. 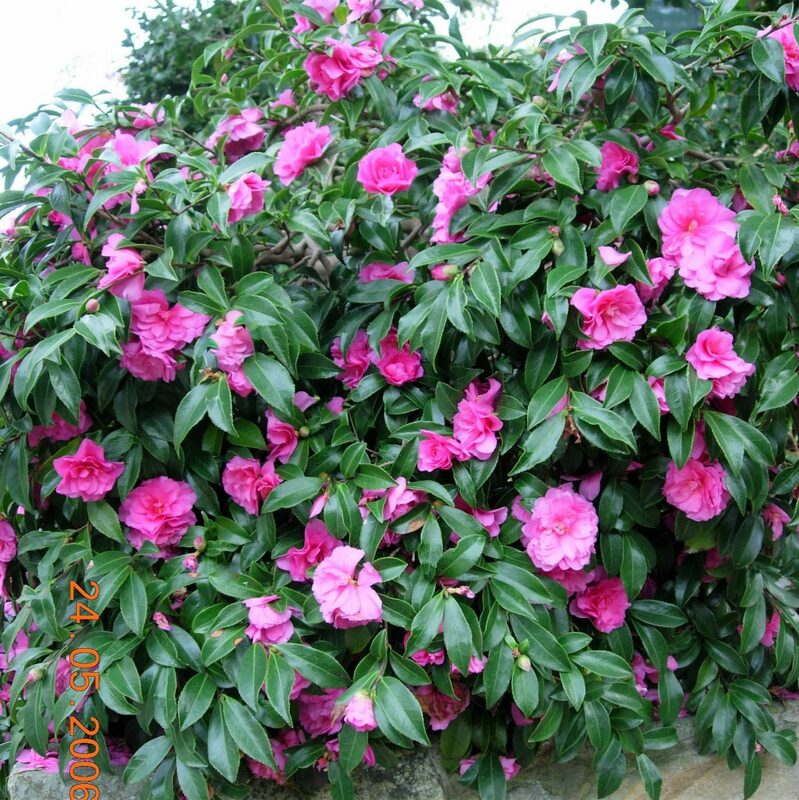 Garden specimen, or hedge, screening and/or border plants, or grown espalier fashion along a fence or wall. 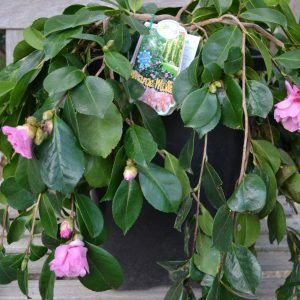 Many are ideal as pot specimens or prostrate forms like “Marge Millar” and “Snow” can be utilized as hanging basket or ground cover plants or even cascading over a retaining wall.